Higashiyama is a fairly large district of the city of Kyoto. This page is dedicated to the central area of Higashiyama, which also includes the popular area of Gion, that you can deepen in this page. For the southern part of the district, see Higashiyama (southern). 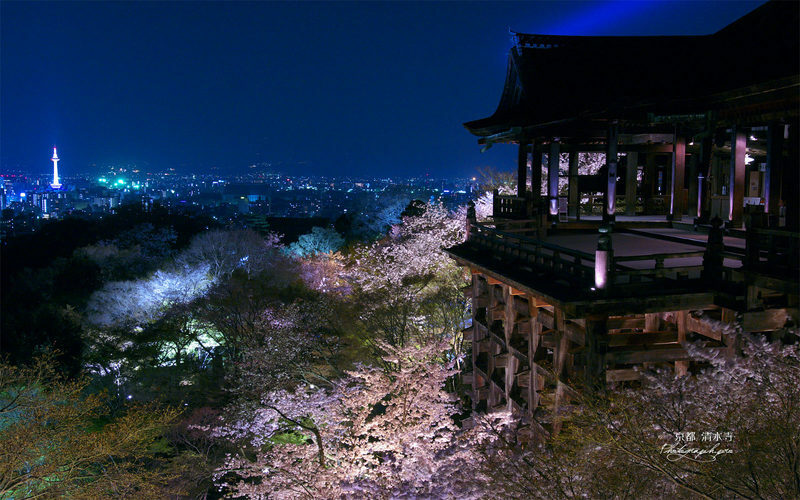 In this area of Higashiyama there is one of the most famous temples in all of Japan, the Kiyomizu-dera (see below). 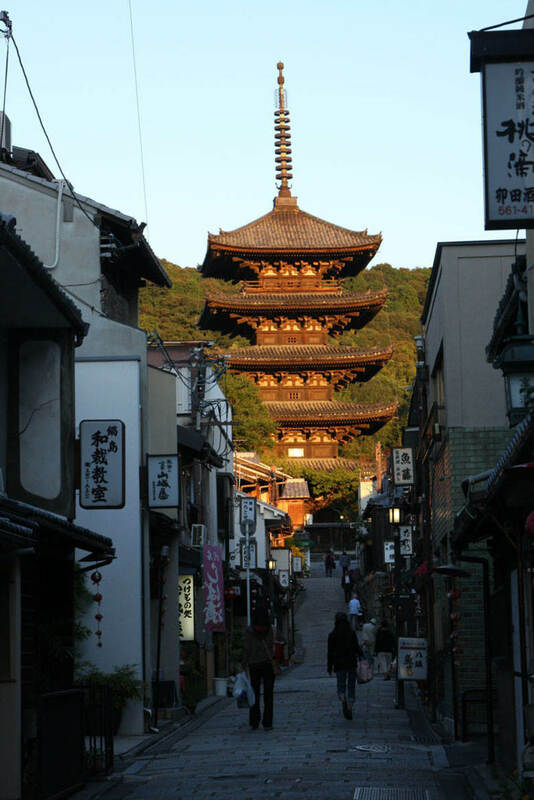 The narrow streets that from this temple lead up to the Maruyama Park are one of the "preserved historic districts" of the city, with preserved traditional buildings that now house hundreds of restaurants and shops. This area is one of the most fascinating of Kyoto. Maybe it is my favourite temple famous temple of Kyoto. This temple was founded way back in 798, and the current buildings date back to 1633. 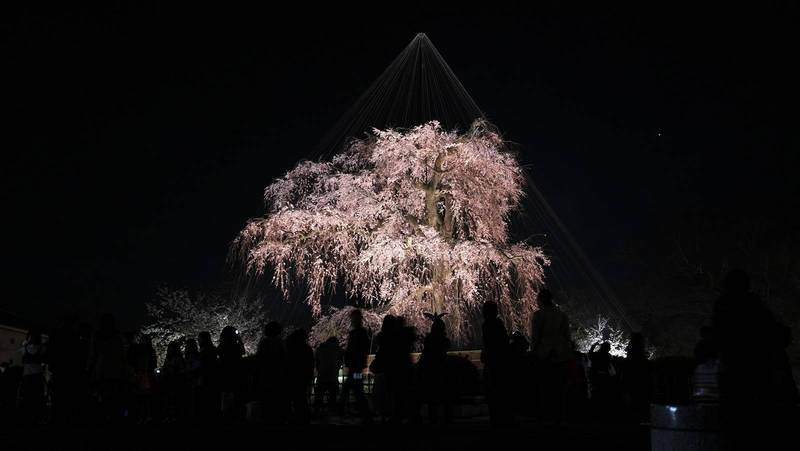 The temple is located on a hill about 11 meters high, surrounded by cherry and maple trees that make this place incredibly spectacular in autumn and spring, when the grounds are open also in the evening, since they're adorned with a wonderful lighting (from mid-March to mid-April, from mid-November to early December). The most famous place of the temple is its terrace, veranda, which overlooks the area below, and in the distance you can enjoy a view of the city of Kyoto, from this place you can admire one of the most famous views of all Japan. A 5-story pagoda that is located on the road between the Kyomizudera and Maruyama Park, belonging to a temple which no longer exists, the Hokanji Temple. It gives an even more "magic" touch to the area, and you can visit it also inside (a rare opportunity, the pagodas of the temples are usually closed to the public). A Zen Buddhist temple, belonging to the Rinzai sect. 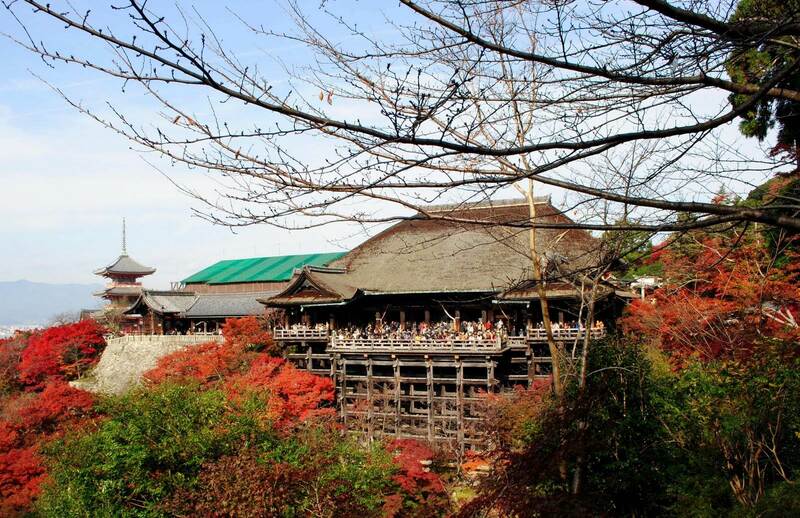 It is located on the road between the Kiyomizudera and Maruyama Park. 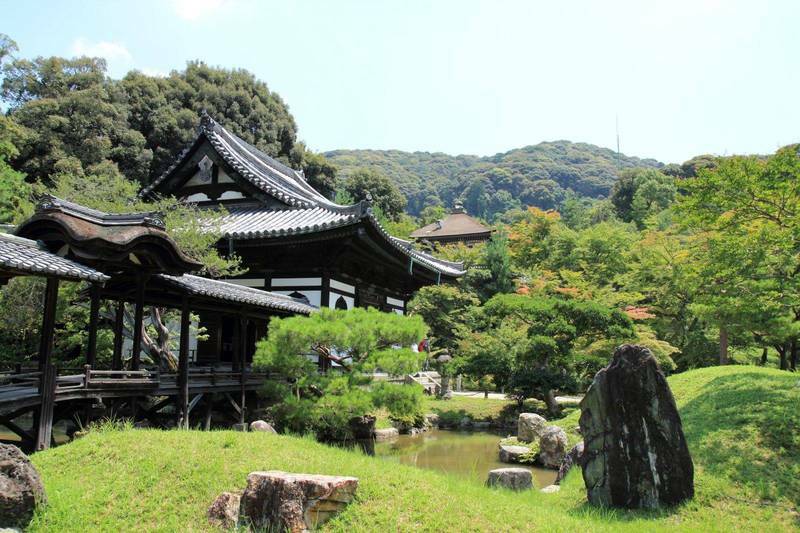 Like any Zen temple, this is also surrounded by beautiful gardens, including a rock garden. In the surroundings of the temple there is also a bamboo grove and two tea-houses, one of which was designed by one of the greatest masters of the tea ceremony in Japanese history, Sen no Rikyu. 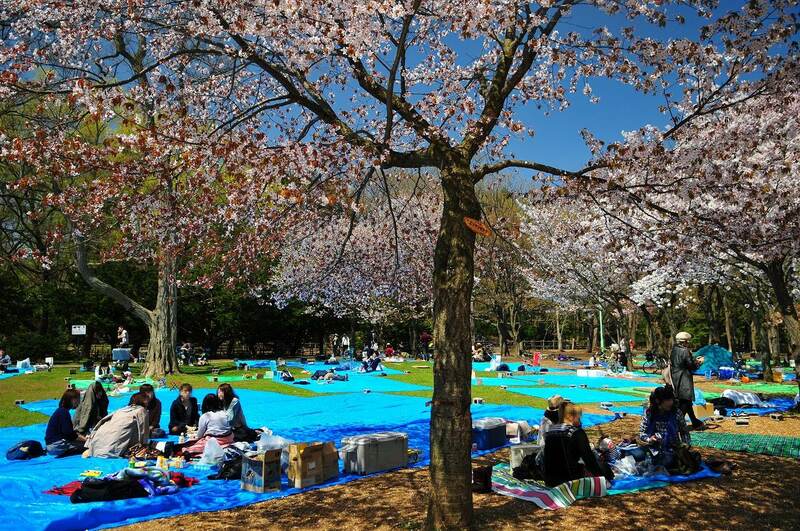 A public park with free admission, always open, famous for its cherry trees, so it's very popular especially in April during the blossoming period. To the east, next to the park, there is the famous Yasaka shrine, about which you can read the dedicated paragraph on the guide of Gion. Walking to the north there are instead two other temples, the Chionin and the Shorenin. The main temple of the Jodo sect of Buddhism. 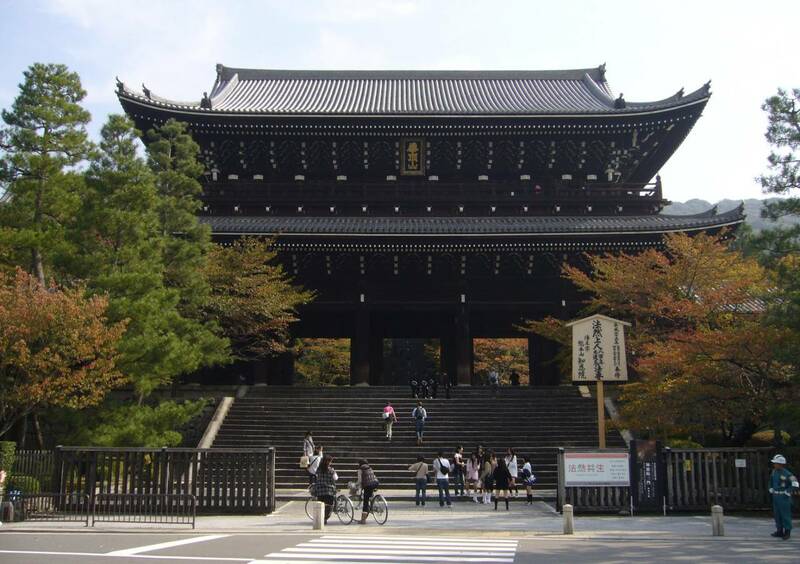 The main entrance gate (Sanmon Gate) is the biggest of all Japan (24x50 meters, built in 1619). Inside the main building (Miedo Hall) a statue of the founder of the Jodo sect, Honen, is housed. Inside the temple there are two zen gardens, each with separate admission, the Hojo Garden and the Yuzen Garden (combined admission 500 YEN), the gardens are obviously very beautiful, but like all Zen gardens. If you have already seen a few of them I advise you to avoid spending more money. Following the paths that climb up the hill behind the temple, you will find many other small buddhist buildings, and the atmosphere is very charming. A Buddhist temple of the Tendai sect, certainly less famous than other sacred places in the area. The most interesting place of this temple, as well as the beautiful gardens that surround it (four gardens), is the Kacho-den building, inside which the doors are painted with floral motifs created by the artist Kimura Hideki, and from where you can enjoy a "meditative view" over the gardens sipping a cup of tea. 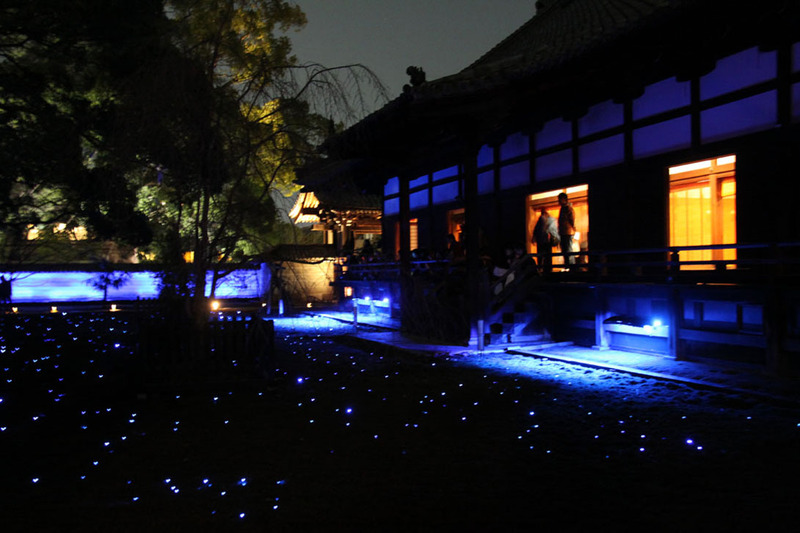 In autumn and spring special lightings are installed also in this temple (as is happens at the much more famous Kiyomizudera Temple), at this link you can find further information. On March 21, May 5 and throughout the month of November, you can participate in tea ceremonies (they cost 1000 YEN) inside the teahouse of the temple (Kobun-tei), further information here. A few minutes walk from Kiyomizudera, hidden along a small street, you can find the Guest House Yamato, a small, family-run guest house with good prices. For other recommended hotels nearby, you can refer to the "Sleep" paragraph in the guide of Gion. The best way to reach the Kiyomizudera, from where I suggest to start your itinerary and then going up towards the Maruyama Park and the Gion area, is the bus: from Kyoto station you can take the line number 100 or the 206 getting of at "Kiyomizumichi" stop. You can also reach this part of Higashiyama on foot from Gion area. Higashiyama station, served by the Tozai line of the metro (Kyoto Municipal Subway), is located in a bit inconvenient position, about 600 meters north-west of the Temple Shorenin, which in turn is located 2 km away from Kiyomizudera.